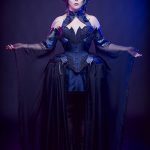 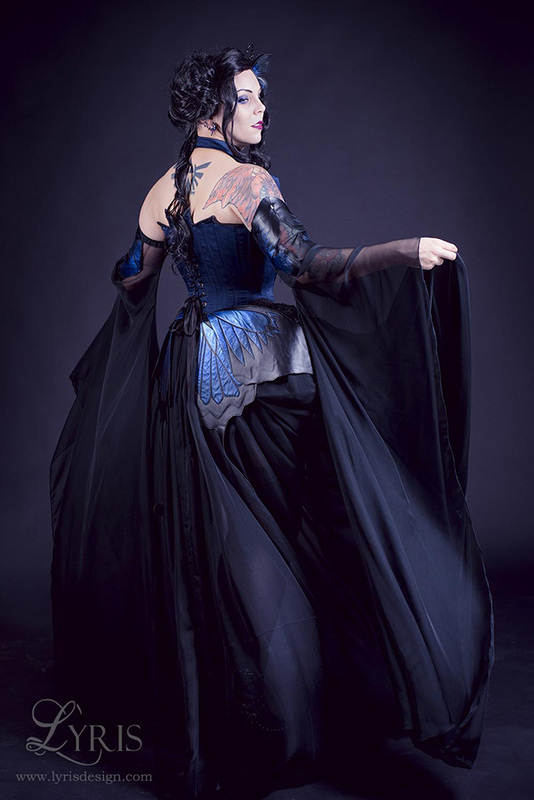 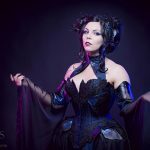 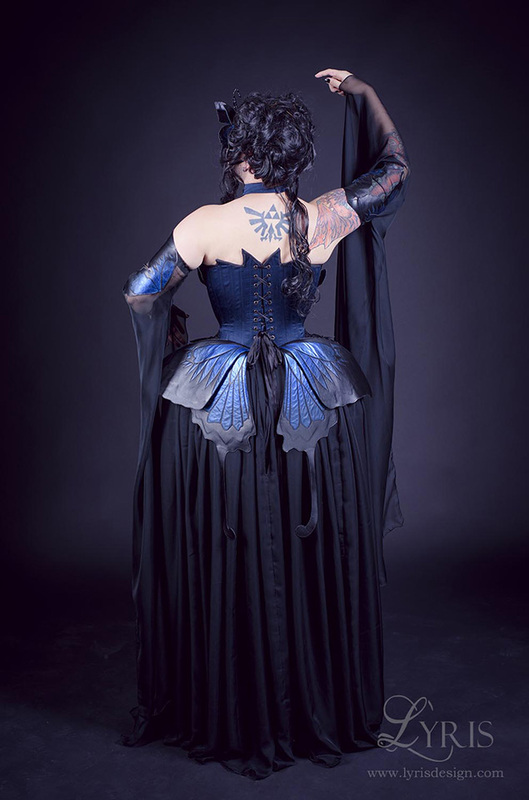 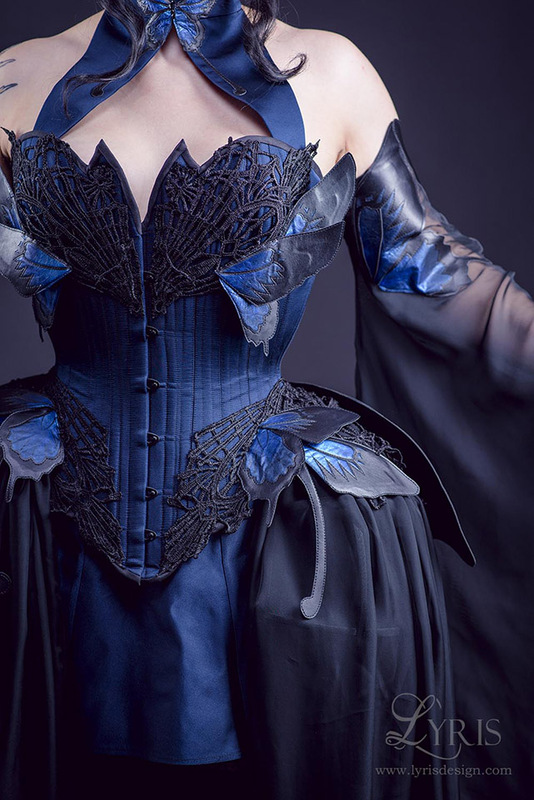 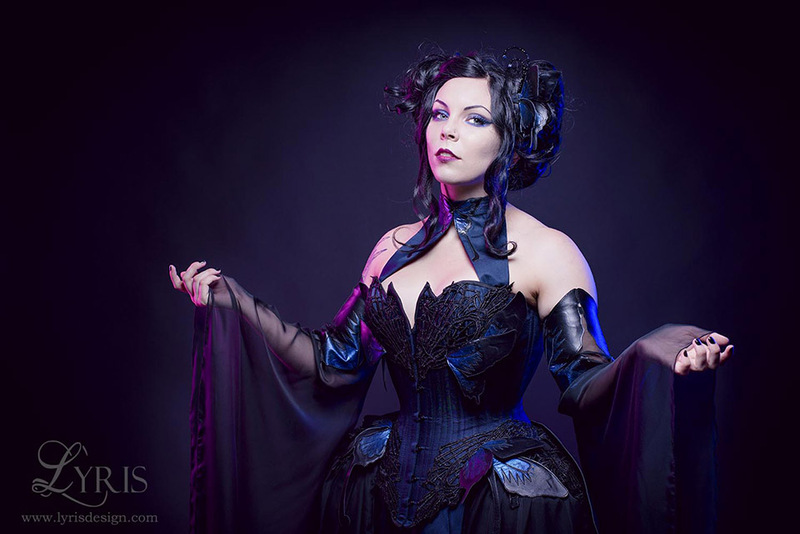 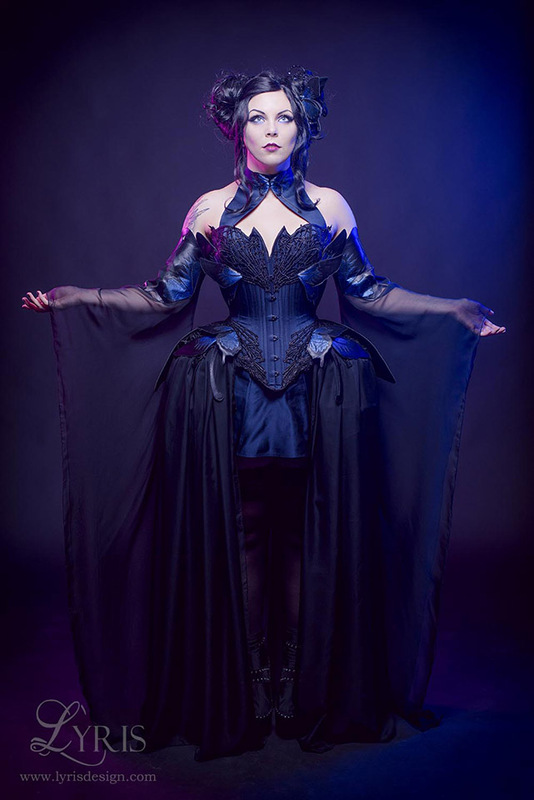 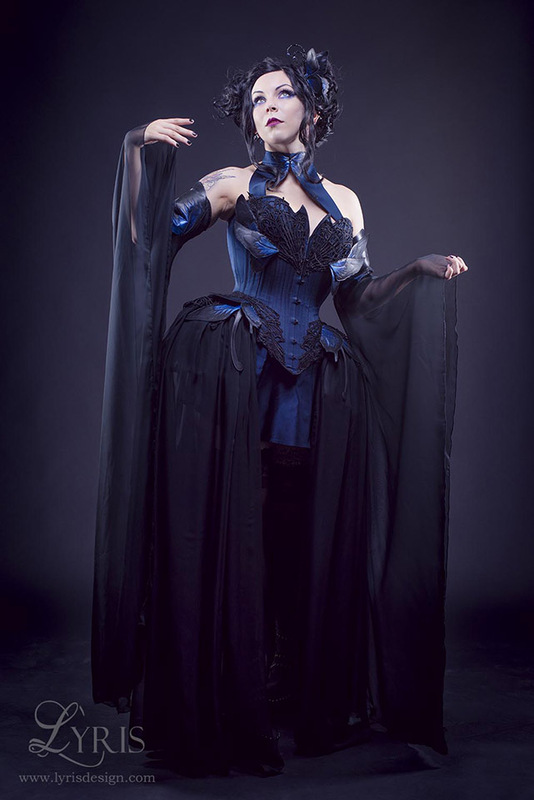 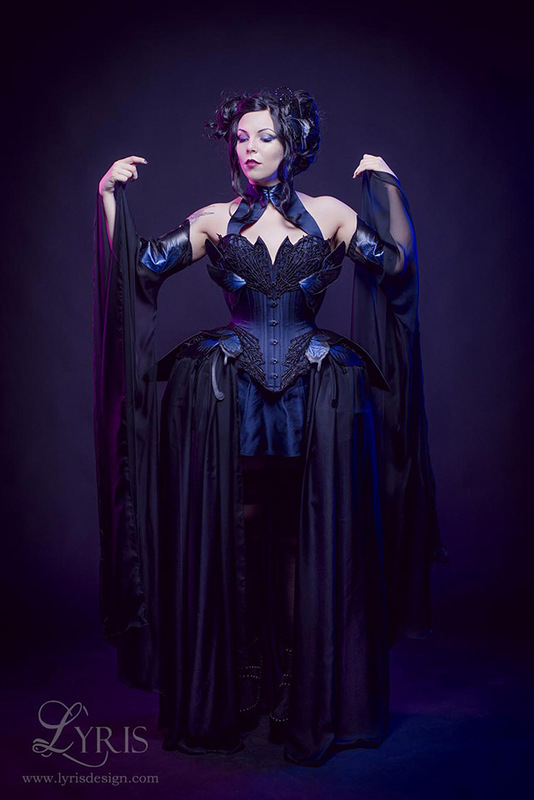 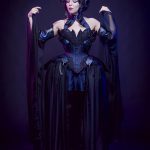 This ensemble features delicately shaded leather Ulysses butterfly wings, an indigo silk corset and intricate lace applique reminiscent of the veining of butterfly wings. 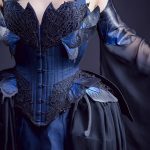 The sweeping curves of a butterfly are accentuated by the panniers extending the hip curve and the floating chiffon skirt and sleeves. 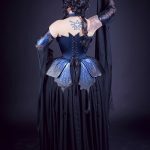 For extra details on the creation of this outfit, check out our blog post The Making of the Midnight Ulysses.